Party Like a Baller at Reel Asian! 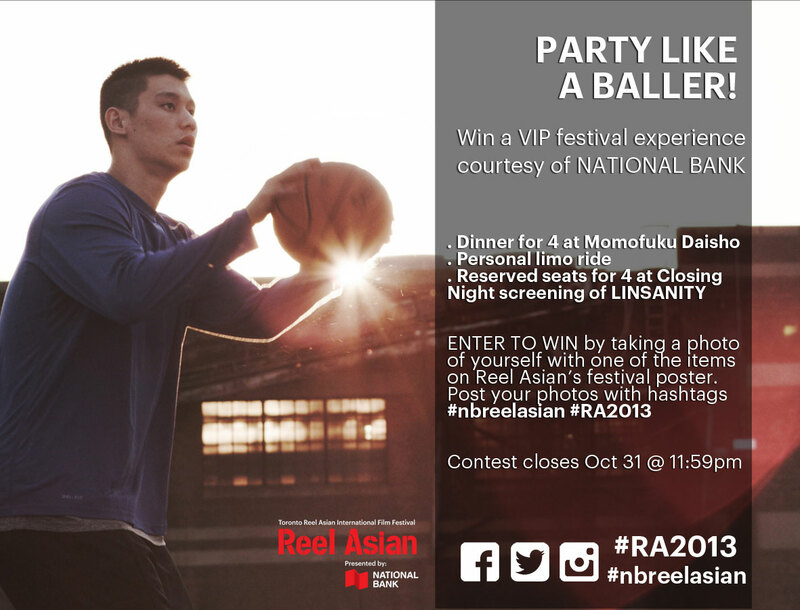 Enter to win an exclusive VIP festival experience at Reel Asian from National Bank! Win a VIP festival experience courtesy of National Bank, including limosine transportation, dinner for 4 at Momofuku Daisho and reserved seats for 4 at the Closing Night Gala screening of Linsanity on Sun Nov 10. Savour an unforgettable dinner for 4 at Momofuku Daiso, travel door-to-door by personal limo, and enjoy premium seating at this year’s much anticipated documentary about worldwide basketball sensation Jeremy Lin. To enter to win, take a photo of yourself with one of the items on Reel Asian’s festival poster. 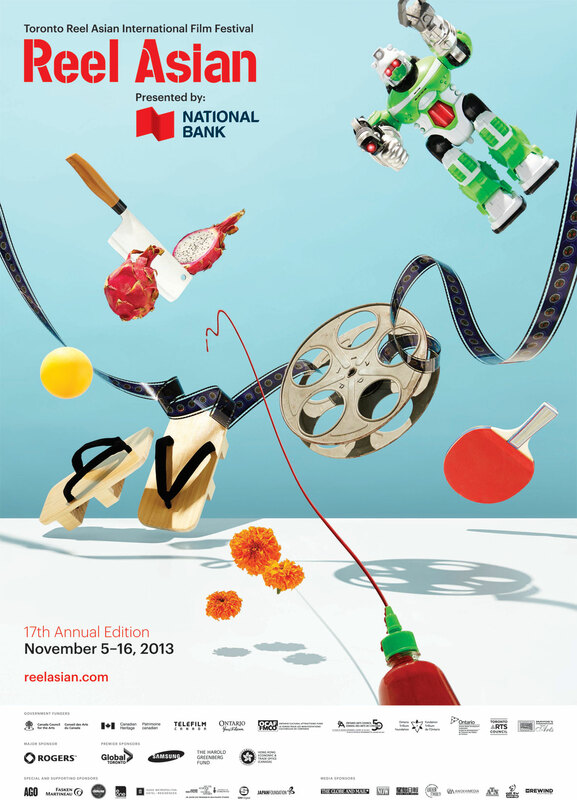 Post your photos on Facebook, Twitter or Instagram and add hashtags #nbreelasian #RA2013. Remember to adjust your privacy settings so we can find your photos!